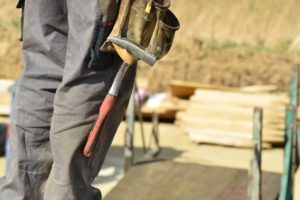 In a continuing effort to produce skilled workers for the homebuilding industry and to find new ways of training the general workforce to become those skilled laborers, the SDHBA is actively searching for innovative ways and effective programs which will help achieve this goal. Take a Look below for more information on Careers, Educational Opportunities, and Scholarships! Registered Apprentices get on-the-job training from a qualified worker in their field of choice while earning a paycheck. Opportunities are available in thousands of industries — from construction and commercial trades to the healthcare and service industries. If you run a business in South Dakota, having an apprentice helps you build a qualified workforce with the exact skills you need to fill your job openings and help reduce employee turnover. If you are a looking for a career, an apprenticeship gives you job skills you need for your career in South Dakota and you earn a paycheck at the same time. The following link will show you current job openings in our industry. Those looking to place ads, find employment or employees, and more, can visit their Home Page for more information. If you are a student looking at our industry for your future career, checking for scholarship opportunities here is a great option! Many of these scholarships are specifically for the construction industry and developing skilled laborers, financing careers, architects, etc. HBASE offers graduating seniors in our four county area the opportunity to apply for $1,000 scholarships given they are entering a building related profession. Click here to get to the scholarship section of our website. Scholarships are provided through our on an online application site that is called AwardSpring. Click the link below to visit Lake Area Tech’s website where you will find a link for students to get to AwardSpring when scholarships are available. There are a lot of scholarships for Building Trades and just general scholarships at lake area tech! The following link will take you to a student account page. Scholarship information is only available during certain periods of time and sent out to the account holders. BankWest provides 18 scholarships to graduating high school seniors and undergraduate college students. The $1,500 scholarships may be used to fund tuition at any accredited, post-secondary educational institution. Be a BankWest deposit account holder for a minimum of six months preceding the application deadline. Be a high school senior or full-time undergraduate student currently attending an accredited post high school educational institution. Have not previously received a BankWest Scholarship. Applications are generally available about the first of the year and deadlines are generally toward the end of February. The applications are available at all BankWest branches and via our website: www.bankwest-sd.bank. If you are aware of a program which will help develop our workforce, and would like to partner with the SDHBA to reach this goal, please contact us.